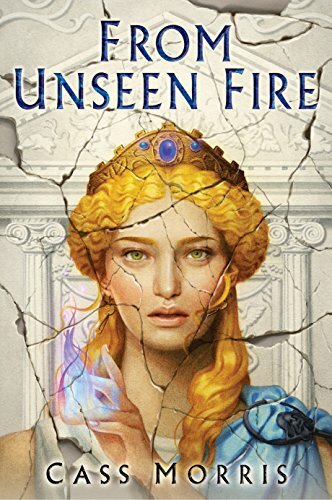 From Unseen Fire is an imaginative reimagining of the end of the Roman Republic, in a world very much like 1st Century B.C. Earth, with the addition of magic. It is a time of turbulence in Aven. The longtime dictator of the Republic is dead in his villa, and as power abhors a vacuum, the suppressed political forces in the city and in the Republic are on the move. Men from every political stripe are trying to shape the future of the Republic to their vision. And a family of three strong women have their own ideas as to what their future, and what the future of Aven, should be. In the meantime, in Iberia, a tribal leader has a vision of an Iberia no longer under the thumb of Aven, and the will and desire to make that vision into a reality. This is the world of From Unseen Fire, a debut novel from Cass Morris. The world of Aven can be summed up as “Roman Republic Analogue with Magic” The names are mostly similar-but-different, from the city name to the provinces. The Gods seem to be the same in name and portfolio. The dating system is Ab Urbe Condita, from the Founding of the City, the same as Rome herself used. Historical characters have renamed analogues. When I first heard of the novel and the pitch that “The Dictator is dead”, I jumped to the island of conclusions that this was a story of the aftermath of Julius Ceasar. Instead, judging from the date of 689 AUC (67 BC), this is really a different story--about the aftermath of the fall of Sulla, the Dictator of Rome who in our history very much helped pave the way for Julius Ceasar to rise to power. And in some ways, one of her major characters, Vibis Sempronius, a charismatic politician who returns to Aven in the wake of the fall of the Dictator, is indeed an analogue of Gaius Julius Caesar. The characters of the novel are it’s strongest highlight. While Sempronius does appeal as a major main character and a plot driver (especially once I realized he was the analogue to Gaius Julius Ceasar), it is the Vitelliae who really shine as characters in the novel. The three sisters Aula, Latona, and Alhena and really shine as a trio of characters, and Latona is one of the central point of view characters in the novel. They work well independently and as a family whole that support, reflect, and refract each other. We get a lot of the worldbuilding of the day to day life of a powerful House from their stories. Beyond that though, the character arcs are what are important, and Latona’s relationship with her sisters, her husband, Semipronius and others are a deep dive into who and what she is--and what she *wants* to be. Beyond the characters, and beyond using Rome as a template for her world, the innovation that Morris uses in the novel is to imagine an ancient world with magic. She takes great pains to keep the active existence of magic from having changed history out of complete recognition too much (mainly in the fact that combat magic is very much discouraged in this verse). While this is “Rome with Magic” and the history, culture and geopolitical situation is somewhat analogous to 1st Century B.C. Rome, it is not exact, and the author does make some interesting invention to make this world her own, primarily in focusing on the culture of magic and how it would influence Roman society. The external plot of the novel, the rise of a leader amongst the Luisetanians named Ekialde, shows more invention still. Instead of the Gaul-analogue being the major focus of late Roman Republic external politics, here, Morris has chosen the Spain-analogue as that focus and external political problem to stir the pot of Aven politics. That plotline, though, does come off as more of a sideline to the politics of Aven. There is conflict and battle, but the author is much more invested in social and personal conflicts than in military ones. Readers who want to see extensive pages of Aven military arms and glory are going to be disappointed. 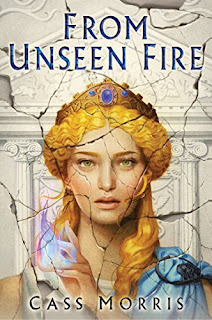 Readers who are looking for an alternate look at the last days of the Roman Republic in a Rome with magic are definitely going to find lots to love. The novel does show some first novel roughness, in execution and in concept. When dealing with the Roman Republic, eliding the place and role of slaves is a choice that I think could have been handled somewhat better than what the author chose. While we briefly get their point of view, it feels very much like “the good slaves” sort of view of Roman history, avoiding the real issues and conflicts involving that institution in Roman history. In addition, an alternate Rome that merely and simply borrows Roman Gods in name and role feels like a missed opportunity. While it does make for a convenient shorthand to appropriate those Gods, since this is already a Rome where history is not precising mirroring our own, there was a chance for creativity here. That said, these flaws definitely are outweighed by my delight with the book, and really, a novel about the end times of an analogue of the Roman Republic is a book that is practically designed for me to highly enjoy, especially when executed to a good level. Given that the ending of the novel seems to be aiming Sempronius for this world’s analogue to the Gallic Wars and his true ascent to power, I am invested and most interested in how Morris’ version of Rome will evolve alongside...and differently, from our own history. Bonuses : +1 for a strong set of characters, good use of women in a patriarchal setting. +1 for an intriguing magic system. Penalties : -1 novel misses some opportunities to interrogate and look at some aspects of Roman culture, especially slavery. -1 for some first novel roughness in some of the ideas and execution.